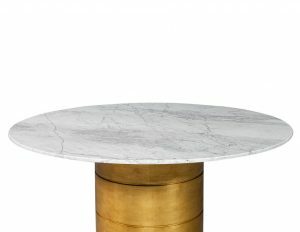 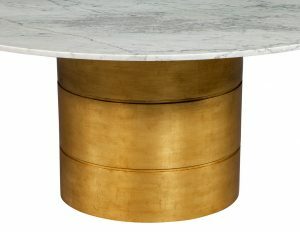 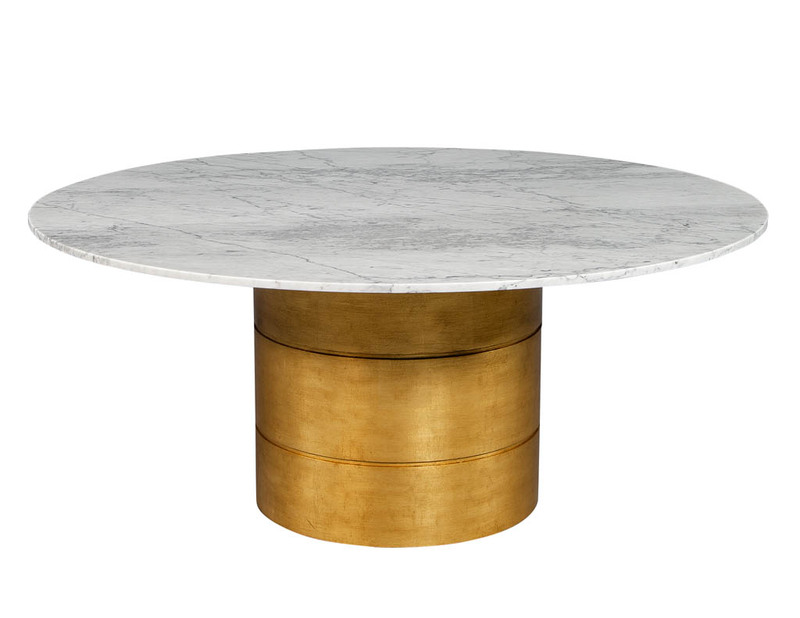 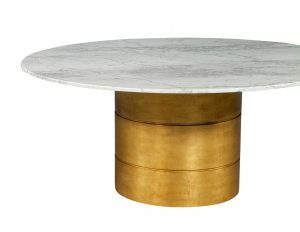 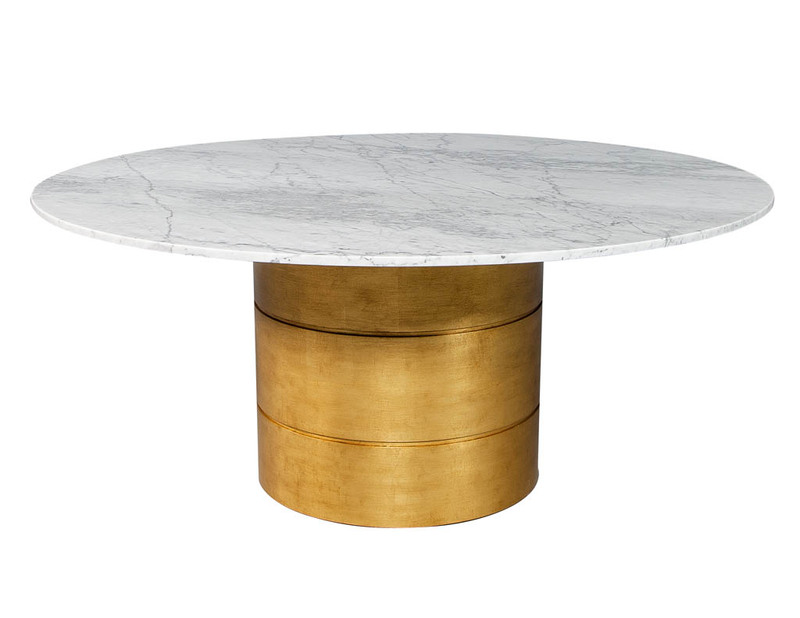 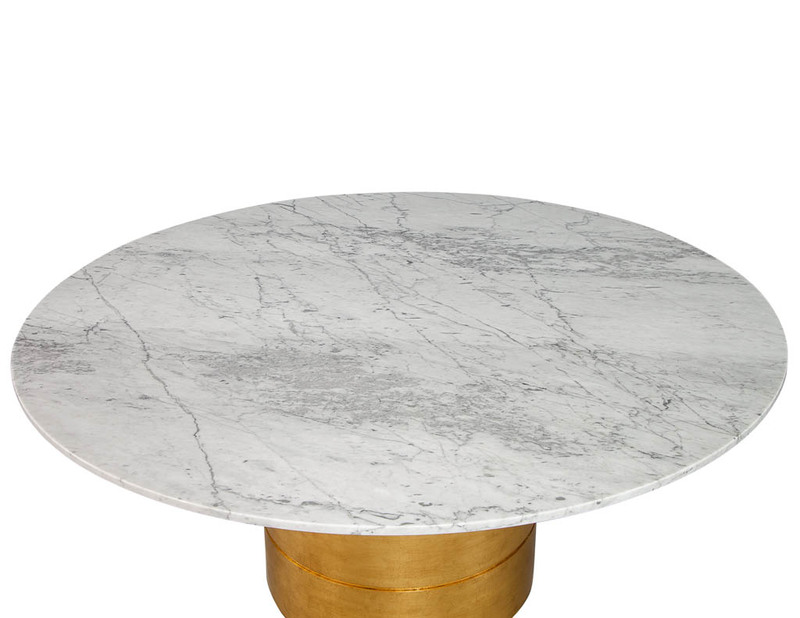 Carrocel Custom Marble Top Dining Table with Gold Leafed Bezel Base. 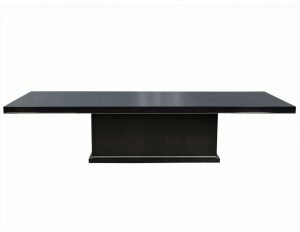 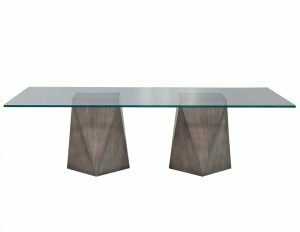 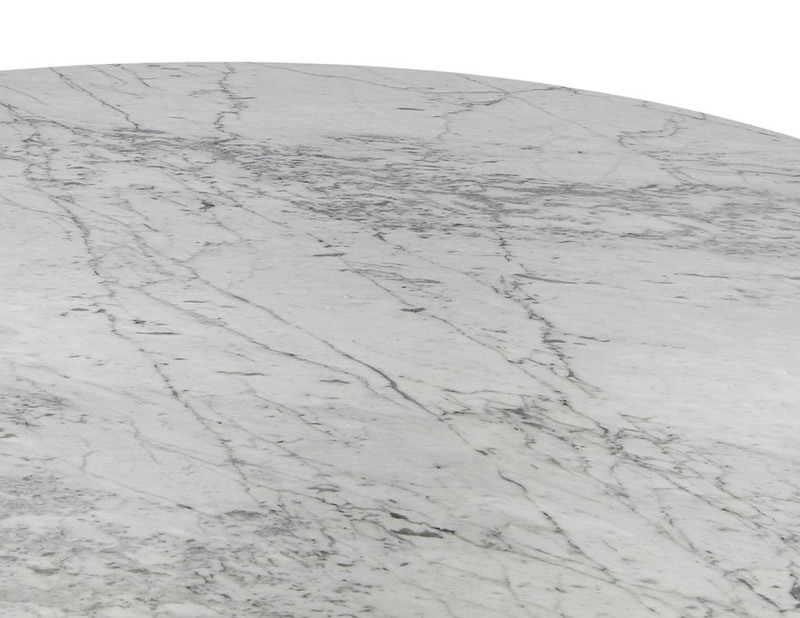 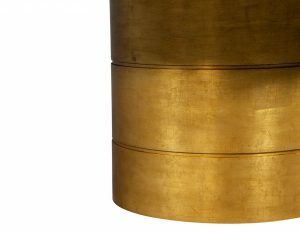 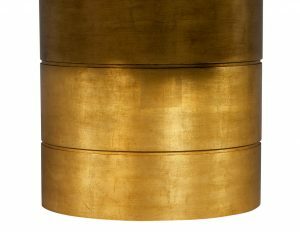 Elegant and stunning, this stone top table is custom made by Carrocel. With a bezel style gold leaf base and adorned with a select Bianca Carrara stone top.